Giuseppina Grassini was a famous Italian opera singer of the late 18th and early 19th centuries. Though her voice was a contralto, she worked it into a higher register to sing roles written for mezzo-sopranos. Napoleon Bonaparte was enraptured by the quality of Madame Grassini’s singing, as well as by her physical beauty. He took her as his lover and paid her to sing at his court for many years. Giuseppina Grassini also became the lover of Napoleon’s nemesis, the Duke of Wellington. Giuseppina Grassini’s first teacher was the church organist Domenico Zucchinetti. He recommended that she be sent to Milan to study for the opera. There Count Alberico Belgiojoso became her protector, promoter and lover. He oversaw Giuseppina’s musical education and arranged for her stage debut in Parma in 1789, at the age of 16. She sang small roles in two comic operas: Pietro Guglielmi’s La pastorella nobile and Domenico Cimarosa’s La ballerina amante. The following year, she sang at Milan’s La Scala in three more comic operas. In 1792, Giuseppina began to appear in tragic operas. She performed in Vicenza, Venice, Milan, Naples and Ferrara, to growing acclaim. In 1796, she starred with one of her teachers, the castrato Girolamo Crescentini, in the premieres of two operas, performing roles for which she became famous: Giulietta in Giulietta e Romeo by Niccolò Zingarelli, and Horatia in Gli Orazi e i Curiazi by Cimarosa. 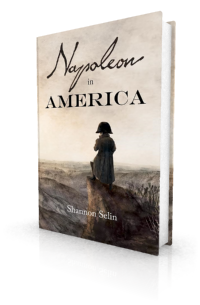 Napoleon was so taken with Madame Grassini’s voice and person that he insisted on her joining him in Paris. On July 14, 1800, she sang at the national fête under the dome of the Invalides. 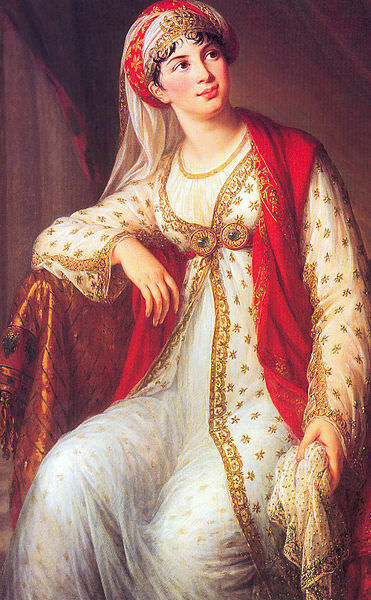 Napoleon provided Madame Grassini with a house and an income. Accompanied by Rode, Grassini left Paris in November 1801, embarking on a concert tour of Holland and Germany. In 1803, Giuseppina Grassini played for four months at the Haymarket Theatre in London. She also sang there in 1804. This very handsome woman was in every thing the direct contrary of her rival [Elizabeth Billington]. With a beautiful form, and a grace peculiarly her own, she was an excellent actress, and her style of singing was exclusively the cantabile, which became heavy à la longue, and bordered a little on the monotonous: for her voice, which it was said had been a high soprano, was by some accident reduced to a low and confined contralto. She had entirely lost all its upper tones, and possessed little more than one octave of good natural notes; if she attempted to go higher, she produced only a shriek, quite unnatural, and almost painful to the ear. In 1807, Giuseppina Grassini returned to France, engaged to sing in Napoleon’s newly established imperial choir, along with her former teacher Girolami Crescentini. She received a salary of 36,000 francs, a pension of 15,000 francs, and the proceeds of an annual benefit concert, as well as other rewards. Madame Grassini became a well-known figure in Paris. The affair continued after Napoleon’s return to France and his defeat at the Battle of Waterloo in 1815. The composer Felice Blangini described a meeting with Wellington and Grassini in July of that year. When I first met her in 1825 she still possessed some remains of the remarkable beauty which had won for her the attention and admiration of so many of the great men of the age. Napoleon and Wellington, the Marshals of France, the Generals of the allied armies, English, Russians, Prussians, Austrians, as well as the Dukes and Marquises of the Restoration, had all bowed before Grassini’s shrine, and had all been received with the same Italian bonhomie and liberal kindness. She would often say, ‘Napoleon gave me this snuff-box; he placed it in my hands one morning when I had been to see him at the Tuileries, and added, ‘Voilà pour toi; tu es une brave fille!’ He was indeed a great man, but he would not follow my advice. Il aurait du s’entendre avec ce cher Vilainton. By the by, c’est ce brave Duc qui m’a donné cette broche….’ And so she would run on, with anecdotes and remarks on a long list of admirers. All Madame Grassini’s recollections came out quite naturally, with true southern frankness, or rather cynicism; and she narrated her liaisons in as unconcerned a manner before every one she met, as she were speaking of her drive in the Bois de Boulogne. Her face must have been in her youth still handsomer than that of her niece, Giulia Grisi. The eyes were larger and more expressive, and she had more regular features and finer teeth. There was a tragic dignity in the contour and lineaments of her countenance, which formed a strange contrast with her unrefined language and gipsy style of dress; every colour of the rainbow was represented in her garments, which she tied on without the smallest regard to taste, and gave her very much the appearance of a strolling actress equipped at Ragfair. Arthur Pougin, Une Cantatrice ‘Amie’ de Napolon: Giuseppina Grassini, 1773-1850 (Paris, 1920), p. 9. Emmanuel-August-Dieudonné de Las Cases, Mémorial de Sainte Hélène: Journal of the Private Life and Conversations of the Emperor Napoleon at Saint Helena, Vol. III, Part 5 (London, 1823), p. 21. Louis Antoine Fauvelet de Bourrienne, Memoirs of Napoleon Bonaparte, Vol. II (New York, 1891), p. 395. Joseph Fouché, The Memoirs of Joseph Fouché, Duke of Otranto (Boston, 1825), p. 144. Richard Edgcumbe, Musical Reminiscences, Containing an Account of the Italian Opera in England, From 1773 Continued to the Present Time, Fourth Edition (London, 1834), pp. 92-94. Thomas De Quincey, Confessions of an English Opium-Eater (London, 1930), p. 191. “Death of Signora Grassini,” The Eclectic Magazine of Foreign Literature, Science, and Art, Vol. 23 (New York, May 1851), p. 48. Madame Ancelot, Les salons de Paris: Foyers éteints (Paris, 1858), p. 34. Castalia Countess Granville, ed., Lord Granville Leveson Gower (First Earl Granville) Private Correspondence, 1781 to 1821, Vol. II (London, 1916), p. 507. Felice Blangini, Souvenirs de F. Blangini (Paris, 1834), p. 279. Adèle d’Osmond, Mémoires de la Comtesse de Boigne, Vol. II, M. Charles Nicoullaud (Paris, 1908), p. 145. Rees Howell Gronow, Celebrities of London and Paris: Being a Third Series of Reminiscences and Anecdotes of the Camp, the Court, and the Clubs (London, 1865), pp. 151-154. “Death of Madame Grassini,” The Musical World, Vol. 25, No. 4 (London, January 26, 1850), p. 52. 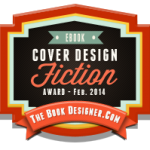 Another fascinating blog, thank you Shannon! Thanks, Lally. Glad you enjoyed it! I was recently reading “A Scandal in Bohemia” by Conan Doyle, There is I think a little of Wellington (or at least his legend) in those stories, not least the suggestiveness of making Professor Moriarty the “Napoleon of Crime”. In “A Scandal” the Femme Fatale, Irene Adler was a Contralto like the subject of your excellent post. How interesting, Josh. I’ll have to take a look at that. Shannon, for your info (I am reading this book: Berthier, Napoleon’s shadow by Franck Favier, Editions Perrin), Marshal Berthier also had a brief affair with Grassini. An Emperor, a Duke and a Marshal! Thanks, Gilles. I knew about Madame Visconti, but didn’t realize Berthier also had an affair with Grassini. The contemporary sources I read implied that she had a lot of lovers. She spoke a mixed jargon of French and Italian, all her own, which allowed her to say anything, and by which she profited to make the most amusing remarks and the most amusing confidences, blaming what she said on her ignorance of the language whenever she said anything that could shock or hurt someone.